I love this time of year! Today, I made a card full of fall and Thanksgiving goodness:) I was inspired by Chupa's Sketchbook Saturday #82...love the slanted tag! 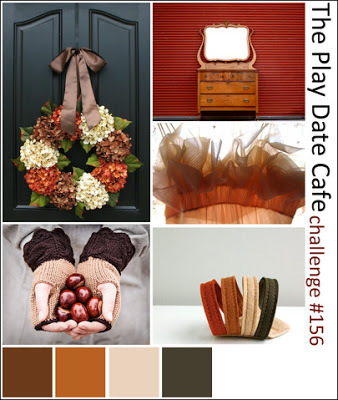 The Play Date Cafe Challenge 156 had the perfect color combination for a fall card! Isn't the rust, brown, artichoke and cream just gorgeous together?! I tried to keep my card masculine-themed, but I can't help but add layers and embellishments that tend to girlify it! LOL! I'm entering my card to the challenges over at ODBDSLC128, DYSU96, and CAS77. 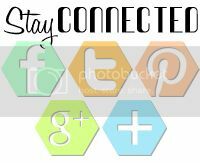 Go check out these fabulous challenges and play along! Beautiful! Love all the different elements. Thanks for joining us at Do You Stack Up. This is gorgeous!! I just love your colors and all the dimension with your leaves!! Awesome take on the sketch!! Thanks for joining the ODBD Shining the Light challenge this week!! Gorgeous fall colors! They make a great masculine card. So glad you could join the fun this week at CAS-ual Fridays! 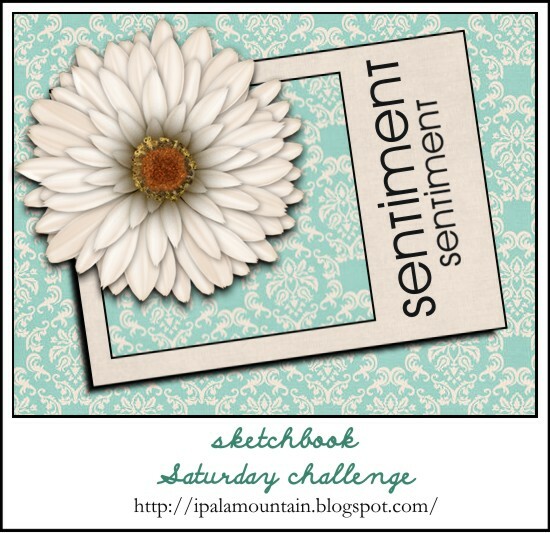 what a gorgeous card and a fantastic take on chupa's sketch! thanks for playing along with the shining the light challenge! stunning piece of art! LOVE the layered leaves and that beautiful sentiment. Thanks for joining us at DYSU this week! AWESOME.....love what you've done! Thanks for joining us at The Play Date Cafe! Lovely card Stacey. Such pretty colors and leaf images. The tag looks awesome with the circle opening! Neat design. Oh my goodness..this is perfection. I love the colors, the layering, the sentiment. Beautiful. Thanks so much for playing with us at CAS-ual Fridays! this is lovely, so many great details! Thanks for joining us in the Play Date Cafe! Your card is FABULOUS! I am loving your design, and perfectly placed embellishments!! Thank you for playing along with The Play Date Cafe! Oh my goodness, girl... this is fantastic! !